the cozy birdhouse: tidings of comfort and joy! Merry Christmas! Let's play a fun little game for the holiday. Can you count the number of people in our family Christmas photo below? Just a warning... it might be a little trickier than you think! Okay, did you guess eight? Try again. Need help finding those last two? Take a closer look at both me and Emily... and you might need the help of an ultrasound machine. That's right! Dan and I will be welcoming a baby girl into our family in mid-May, and Emily and Christopher are expecting a baby in mid-June! Little cousins just a month apart. I am officially 20 weeks along as of today. I've been feeling well, and I'm definitely starting to show! 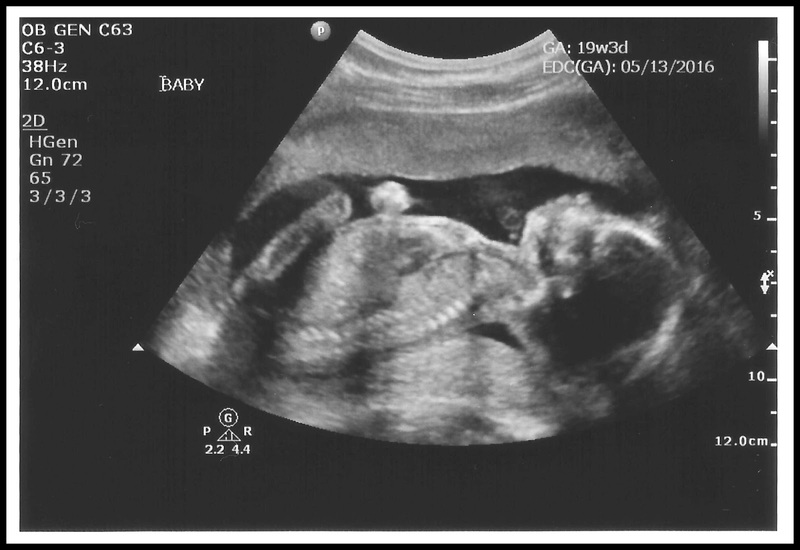 Here's an ultrasound photo of our little girl from earlier this week. Just wanted to share our exciting news with everyone! Wishing you all a wonderful Christmas! What a perfect Christmas gift! We're SO excited for you guys!